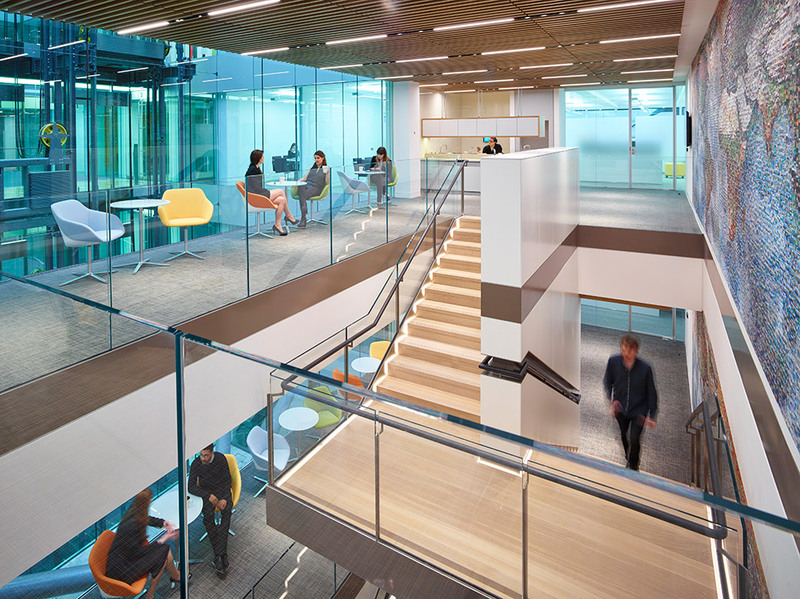 A recent collaboration between top 10 global law firm CMS, specialist workplace strategists MCM Architecture and KKS has resulted in an innovative working environment. 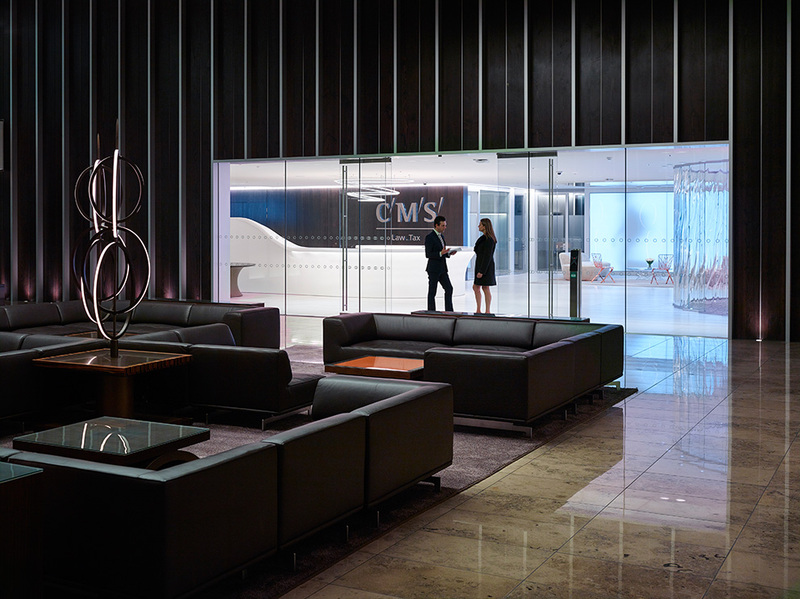 CMS’ new office, in London’s Cannon Place, is centred around creating exceptional client areas and open plan collaborative work spaces. 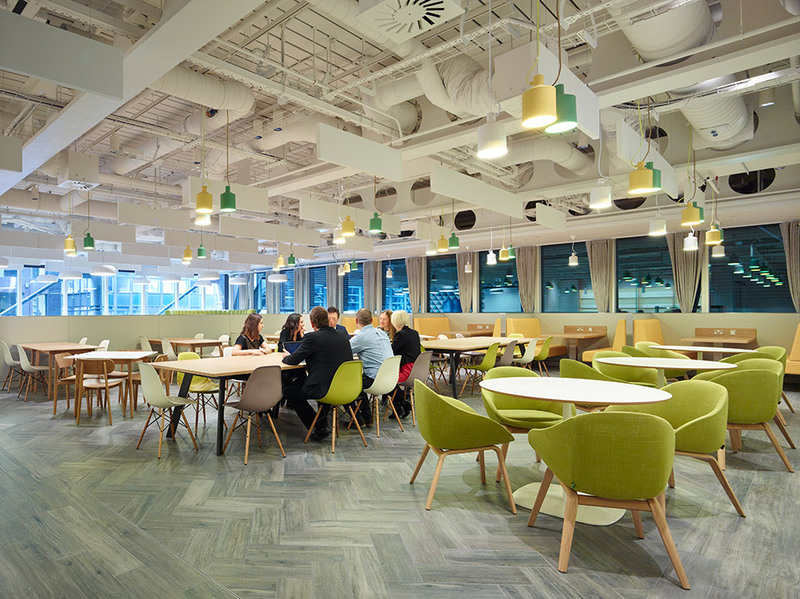 The ‘business lounge’ style includes everything an employee in a modern office could need including; video conferencing rooms, bookable and non-bookable meeting rooms, and café and breakout spaces to encourage mobility and cross-team collaboration. Mobility was an extremely important concept at every stage of this project. It was vital that the space allowed, and encouraged, employees and clients to move freely. 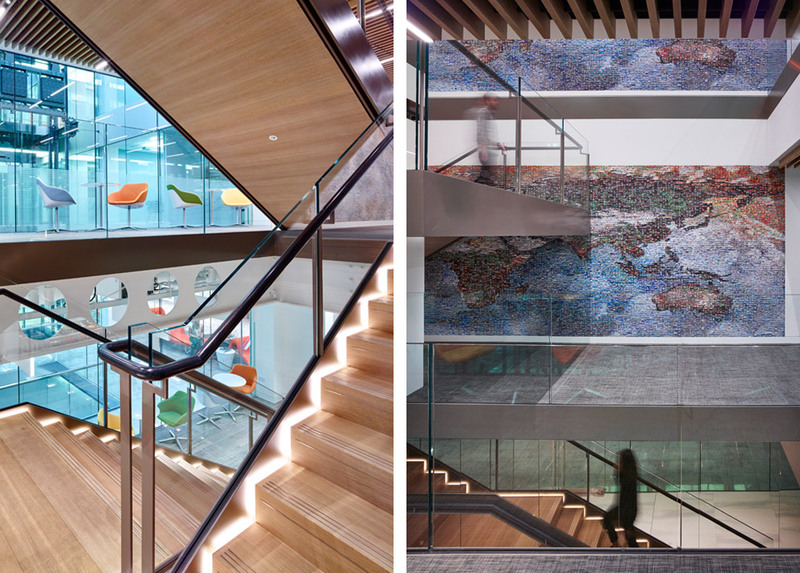 This forward thinking approach is characterised by sparing splashes of colour, modern furniture and striking staircases that encourage movement and add to the sense of fluidity in the office. 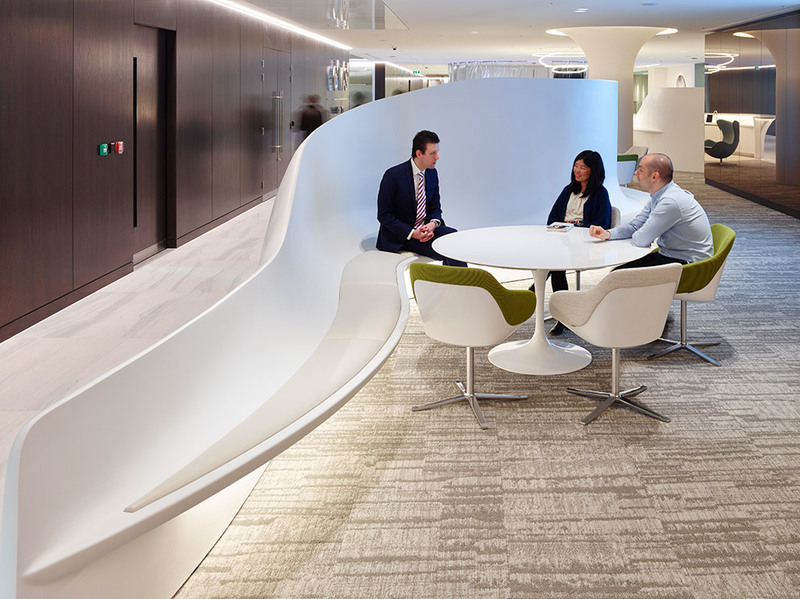 The breakout areas make it possible for fee earners to work in the space that suits them most. To encourage the sense of mobility further still, the new office has a full wireless infrastructure and each of the staff has a tablet based computer and mobile phone so that their work is not limited by desk space and cables. 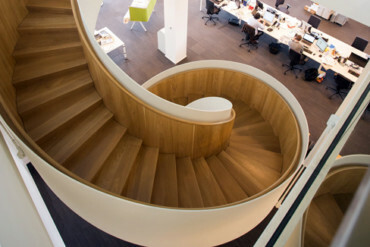 Despite being spread out over three large floors the office space has been brought together with the clever use of modern staircases from renowned manufacturer, EeStairs. 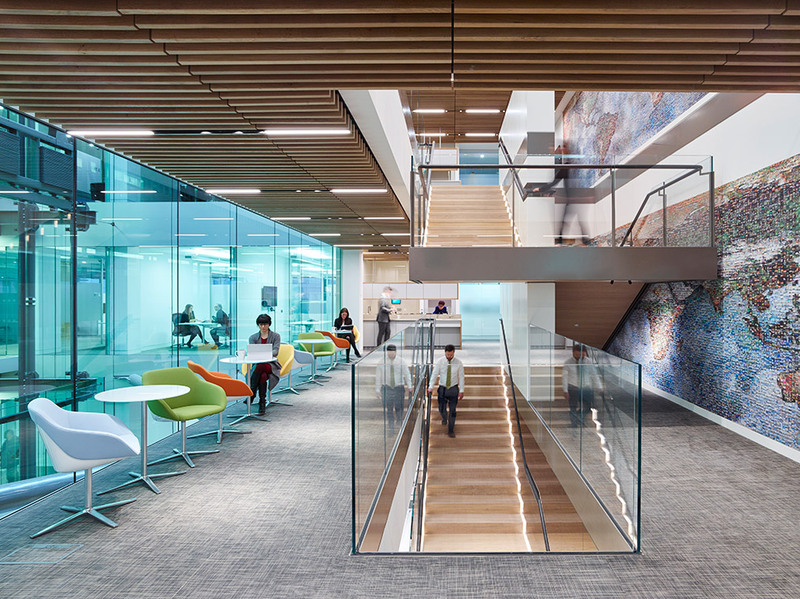 Rather than being enclosed in a stairwell, MCM Architecture designed the staircases in such a way that they are as much of a feature of the office as the chairs and tables. 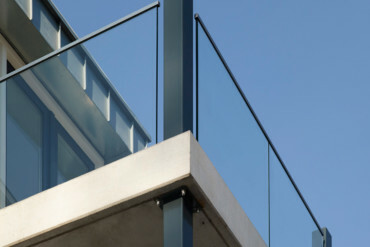 The staircase is positioned in plain sight and surrounded by a TransParancy® glass balustrade for uninterrupted views of the interior. In contrast to the furniture, walls and floors which are for the most part finished in modern block colours, ranging from muted greys to striking orange, the staircases have been constructed from steel and finished with timber treads, adding a natural element to the interior. 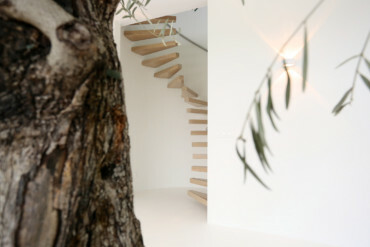 The gentle rise of the straight staircases makes them appear longer and extremely inviting to walk up and down. The combination of straight flights of stairs and plateau areas add to the sense that the stairs wrap around the wall that they are positioned against. In keeping with the way that CMS has embraced modern technology and working practices, MCM Architecture has designed the staircases to include LED lighting that trace the edges of each flight of stairs. The light appears to flow from the top to the bottom of the staircases and reflects the brief to create a mobile workspace. During the design stages for the staircases the project team wanted to create an exciting staircase that would provide a stunning feature in the client suite on the first floor. A bronze mirrored wall conceals the structural supports for the staircase has made the space seem larger, building on the role of the staircase as a focal point. The mirrored wall also reflects the curvilinear forms of the technology hub and bar, creating a bright and welcoming space for clients to enjoy. “Staircases are often overlooked as a necessary element of a building rather than an aspect of interior architecture that can reinforce a company’s ethos or value. We wanted to create something extraordinary that would add to the experience of staff and clients and found the ideal partner in EeStairs,” commented Jon Race, Managing Director of MCM Architecture. 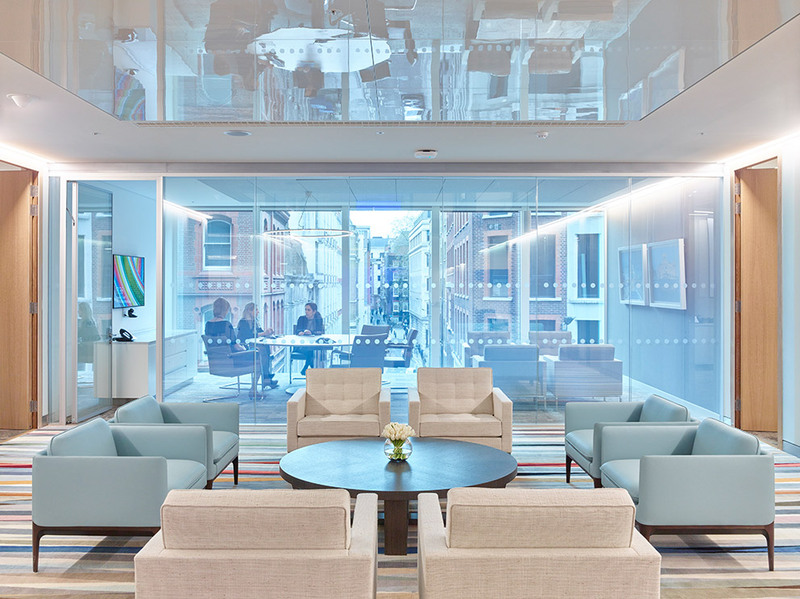 CMS’ new office has resulted in a wonderful environment for all staff and has challenged the concept of legal practice architecture to create a future-proof office design that bring staff and clients together. The exceptional amenities have brought CMS to the forefront of workplace design.